Sewing Pattern Organization – An Updated System! 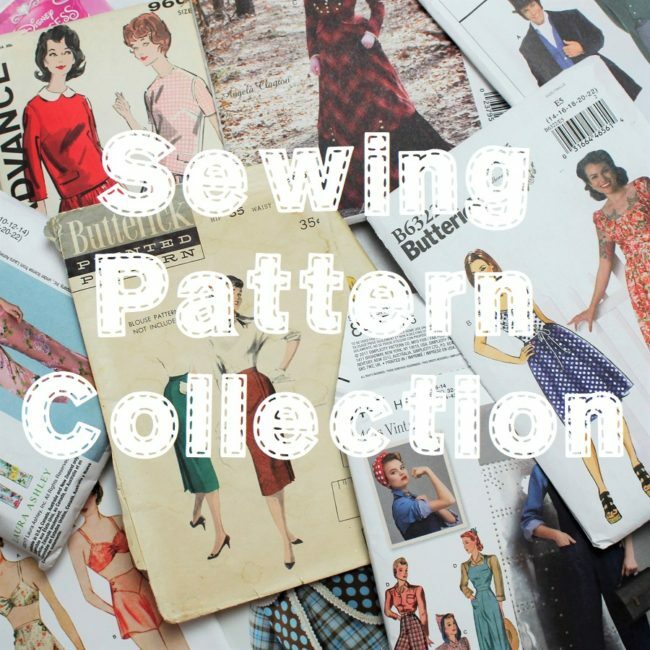 In my recent sewing pattern collection post I showed every single sewing pattern I own and answered some frequently asked questions about my patterns. One question I get very often is how I store my 300+ patterns. For YEARS I did not have a organization or storage solution at all. I had a few crates, boxes, bins, stacks, etc of patterns scattered all over my sewing room. I had no idea how to tackle them and where to get started. I finally got fed up with my lack of a solution and dove in head first! I used to store all my sewing patterns with the envelope in a plastic sheet protector and the pattern/instructions in a manila envelope like I showed HERE. This system worked fine until I had over 100 patterns, then I got tired of purchasing more and more envelopes and sheet protectors. I ended up keeping that system for my vintage patterns so they are protected from being damaged any more than they already are. The rest of my patterns are stored in order by company and pattern number in wooden crates. I go into more details and show everything in the video HERE! I am so happy with this new system and I can’t believe I waited SO LONG to actually do it! I would love to hear your thoughts on how I’ve got my patterns organized. Is it similar to how you keep yours? If not, what do you do differently? By the way, I’ve added to my Sew Your Stash goals for 2018 to use more of the sewing patterns that I own. In the past three months I’ve used SIX of my patterns! That is a huge accomplishment since it had been since Halloween before that. I’m having so much fun creating fun garments for myself and can’t wait to share some of them with you all! So make sure to check back soon for more updates on the patterns I’m using. 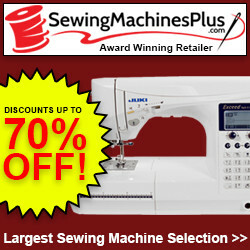 Until then, Happy Sewing! This entry was posted in Blog and tagged Organization, sewing patterns.